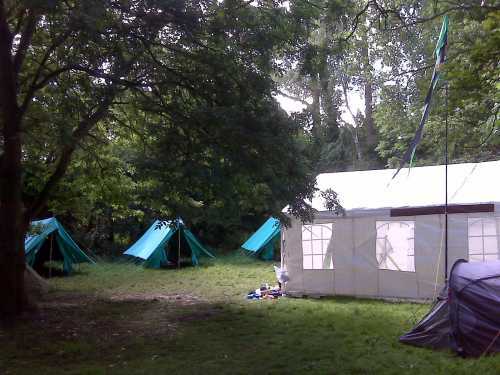 Each year the district organises a camp for all of the cubs in the Cambridge district. By joining together with all the other cub packs we are able to offer lots of activities and the chance to attempt some of the more tricky to attain cub activity badges. Cubs get the chance to meet up with friends from perhaps school or football who are members of other packs. In 2013 we went to Lodestar near Lode and enjoyed archery and rifleshooting as well as a mass hay-fight with the freshly mown hay field next door. Lots of badges were attempted, such as Outdoor Challenge, Scientist, and Naturist with most cubs coming home with two new badges for their arm. 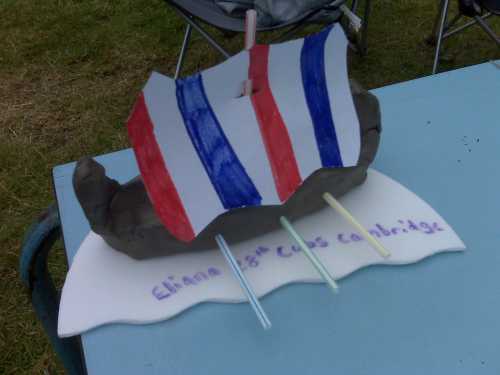 In 2012 we were at Abington for a rather damp June where some of our cubs made viking boats in the Artists badge and we did the Naturist and Communicator badges .